What Does The 2016 Honda Pilot Have To Offer? We recently wrote a blog regarding the re-designed 2016 Honda Pilot, which made its Canadian debut at the Canadian International Auto Show last week. Expanding on that blog, we wanted to review some of the new and exciting features made available to you, the consumer. As you are about to hear, the new Pilot redefines our expectations when it comes to SUVs, by delivering style, flexibility and more family-friendly utility. Safety is a top priority for the re-designed Pilot. Blind-spot monitoring, Forward Collision Warning, Lane-Keep Assistance and Adaptive Cruise Control are all available options on higher-trim versions. The new Pilot steps it up a notch with its second row panoramic sunroof. This stylish addition complements the traditional sunroof that still remains located above the front seat passengers. Designed for versatility and function – the new flip and fold seats make it easier on passengers when getting into the third-row seating. These flip/fold seats also offer a 2nd row captain’s chair and heated seats. The new push button shifter allows for more space on the centre console and is the only Honda model to offer this. The new Pilot features a start-stop 3.5 litre V-6 engine. As part of the new interior re-designs, the centre console is able to hold items as large as a full-size iPad or large purse. The 2016 Honda Pilot is expected to launch at Image Honda this summer, which is only a few months away and we couldn’t be more excited! Contact us at Image Honda today if you have any questions regarding this new, must-have Honda Pilot. We love excitement and there is a lot of exciting news at Honda Canada lately. One recent announcement is that the completely re-engineered and re-designed 2016 Honda Pilot SUV will be making its debut at the 2015 Canadian International Auto Show on February 12th in Toronto. The all-new, eight passenger Pilot stands in a class of its own with “new technology, advanced safety, improved fuel economy and enhanced family utility and versatility.” The newly re-designed 3 row SUV will surely impress. 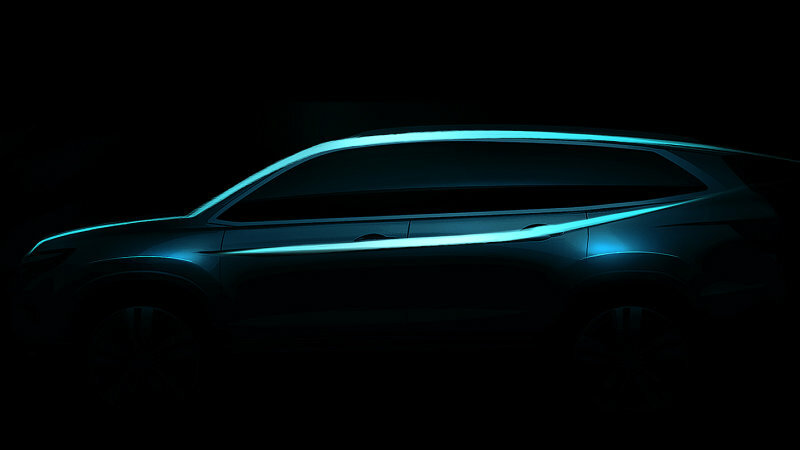 For latest updates and information on the all-new 2016 Honda Pilot, please follow our blog or visit us at Image Honda www.imagehonda.com.